Jeanne Laisné (born 1456) was a French heroine known as Jeanne Fourquet and nicknamed Jeanne Hachette ('Joan the Hatchet'). She was the daughter of a peasant. She is currently known for an act of heroism on 27 June 1472, when she prevented the capture of Beauvais by the troops of Charles the Bold, Duke of Burgundy. The town was defended by only 300 men-at-arms, commanded by Louis de Balagny. The Burgundians were making an assault, and one of their number had actually planted a flag upon the battlements, when Jeanne, axe in hand, flung herself upon him, hurled him into the moat, tore down the flag, and revived the drooping courage of the garrison. 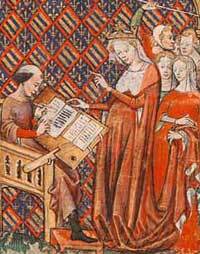 In gratitude for this heroic deed, Louis XI instituted a procession in Beauvais called the "Procession of the Assault", and married Jeanne to her chosen lover Colin Pilon, loading them with favours. There is an annual religious procession on the last weekend in June through the streets of Beauvais to commemorate Jeanne's deed. A statue of her was unveiled on July 6th, 1851 (see picture). She was portrayed in the French film: Le Miracle des loups (1924) of Raymond Bernard. The knight Jenavelle Rolantir character who appears in "Elf Saga: Doomsday" (2014) by Joseph Robert Lewis is inspired by various French heroes, including Roland and Jeanne Hachette. ^ Hilowitz, Beverley (1974-01-01). A Horizon guide: great historic places of Europe. American Heritage Pub. Co.; book trade distribution by McGraw-Hill. ISBN 9780070289154. ^ See Georges Vallat, Jeanne Hachette (Abbeville, 1898). ^ Clayton, Ellen C (Sep 20, 2018). Female Warriors. p. 87. ISBN 9783734039904. ^ Walsh, William Shepard (1897-01-01). Curiosities of Popular Customs ... Illustrated. This article incorporates text from a publication now in the public domain: Chisholm, Hugh, ed. (1911). "Hachette, Jeanne" . Encyclopædia Britannica. 12 (11th ed.). Cambridge University Press. p. 793. François Boucher was a French painter, draughtsman and etcher, who worked in the Rococo style. Boucher is known for his idyllic and voluptuous paintings on classical themes, decorative allegories, and pastoral scenes. He was perhaps the most celebrated painter and decorative artist of the 18th century. Charles Perrault was a French author and member of the Académie Française. He laid the foundations for a new literary genre, the fairy tale, with his works derived from earlier folk tales. The best known of his tales include Le Petit Chaperon Rouge, Cendrillon (Cinderella), Le Chat Botté, La Belle au bois Dormant and Barbe Bleue (Bluebeard). Some of Perrault's versions of old stories have influenced the German versions published by the Brothers Grimm more than 100 years later. The stories continue to be printed and have been adapted to opera, ballet, theatre, and film. Perrault was an influential figure in the 17th-century French literary scene, and was the leader of the Modern faction during the Quarrel of the Ancients and the Moderns. Jeanne Antoinette Poisson, Marquise de Pompadour, commonly known as Madame de Pompadour, was a member of the French court and was the official chief mistress of Louis XV from 1745 to 1751, and remained influential as court favourite until her death. Jeanne Bécu, Comtesse du Barry was the last Maîtresse-en-titre of Louis XV of France and one of the victims of the Reign of Terror during the French Revolution. The Affair of the Diamond Necklace was an incident from 1784 through 1785 at the court of King Louis XVI of France involving his wife, Queen Marie Antoinette. The reputation of the Queen, already tarnished by gossip, was ruined by the implication that she participated in a crime to defraud the crown jewelers in acquiring a very expensive diamond necklace. The event is historically significant as one of the events that led to the French populace's disillusionment with the monarchy, which, among other causes, eventually precipitated the French Revolution. Beauvais is a city and commune in northern France. It serves as the capital of the Oise département, in the Hauts-de-France region. Beauvais is located approximately 75 kilometres from Paris. The residents of the city are called Beauvaisiens. Françoise d'Aubigné, Marquise de Maintenon was the second wife of King Louis XIV of France. She was known during her first marriage as Madame Scarron, and subsequently as Madame de Maintenon. Her marriage to the king was never officially announced or admitted, as it was morganatic, and thus she was never considered Queen Consort of France. Even so, she was very influential at court, and was one of the king's closest advisers. She founded the Maison royale de Saint-Louis, a school for girls from poorer noble families, in 1684. The Roman Catholic Diocese of Beauvais, Noyon, and Senlis is a diocese of the Latin Rite of the Roman Catholic Church in France. The diocese encompasses the department of Oise in the region of Hauts-de-France. The diocese is a suffragan of the Archdiocese of Reims. The current bishop is Jacques Benoit-Gonnin, appointed in 2010. The Petit Trianon, built between 1762 and 1768 during the reign of Louis XV of France, is a small château located on the grounds of the Palace of Versailles in Versailles, France. The park of the Grand Trianon includes the Petit Trianon. Marie-Madeleine Jarret, known as Madeleine de Verchères was a woman of New France credited with repelling a raid on Fort Verchères when she was 14 years old. 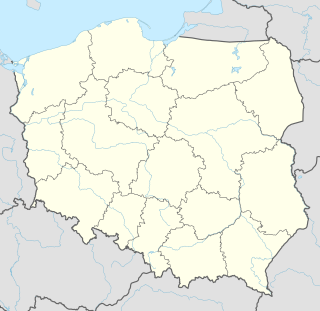 Krawusin is a settlement in the administrative district of Gmina Skarszewy, within Starogard County, Pomeranian Voivodeship, in northern Poland. It lies approximately 4 kilometres (2 mi) north of Skarszewy, 16 km (10 mi) north-west of Starogard Gdański, and 33 km (21 mi) south-west of the regional capital Gdańsk. Pentemont Abbey is a set of 18th and 19th century buildings at the corner of Rue de Grenelle and Rue de Bellechasse in the 7th arrondissement of Paris. The abbey was a Cistercian convent founded near Beauvais in 1217 and moved to its current site in Paris in 1672 at the behest of Louis XIV. A reconstruction of the abbey was initiated in 1745 by the Abbess Marie-Catherine Béthisy de Mézières and work was completed in 1783. In the late 18th century the abbey was one of the most prestigious educational institutions in Paris for daughters of the elite, including two of Thomas Jefferson's. The abbey also provided rooms for ladies of good standing who were in search of rest, including Joséphine de Beauharnais when the case of her separation from her first husband was heard.